Designed to work with standard bales of hay, the Mini Haybell form JFC product protects hay in all weather conditions and minimises wastage due to trampling or fouling. 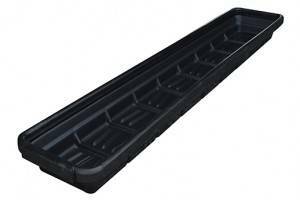 Manufactured from robust polyethylene it has no metal components making it extremely safe for use with animals. 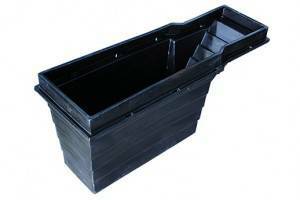 Designed to work with standard bales or loose hay. 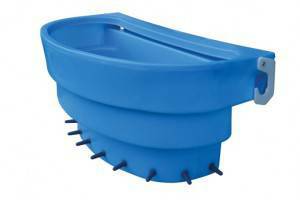 Designed with 6 feeding ports which allow feeding of multiple sheep at once. 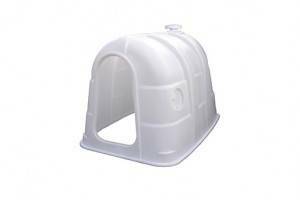 Manufactured from polyethylene it has no metal components making it safe for use with animals. Protects hay in all weather conditions. 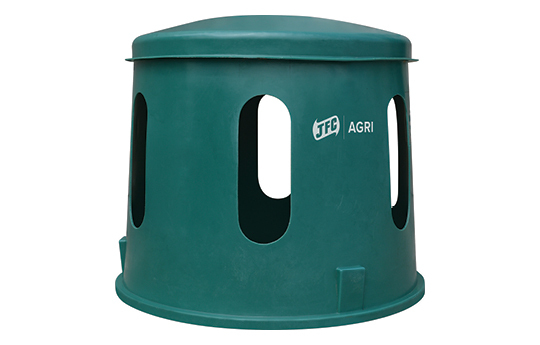 Significantly reduces feed wastage due to trampling and fouling. Easy to manoeuvre it allows easily flexible positioning in the paddock or field.